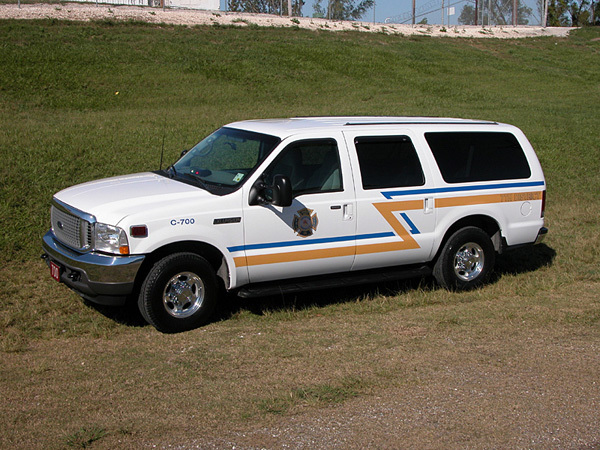 The Chief's vehicle is a Ford Excursion and is used as the Command vehicle when needed. Ladder 707 is a 2001 E-One, HP-75 Side Stacker. It is equipped with a 75' aerial waterway. 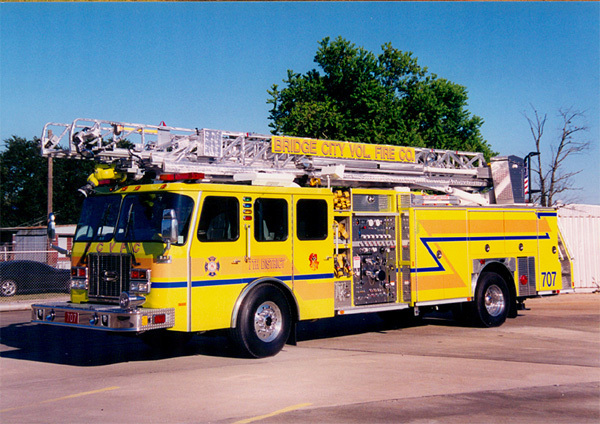 The ladder truck is equipped with a 450 gallon water tank and a two stage waterous pump providing 1,500 gpm. Also onboard Ladder 707 is a television/video recorder for use with our thermal imaging camera. Something unique with this ladder truck are the slide out hose lay trays to allow easier racking of hose when the job is done. 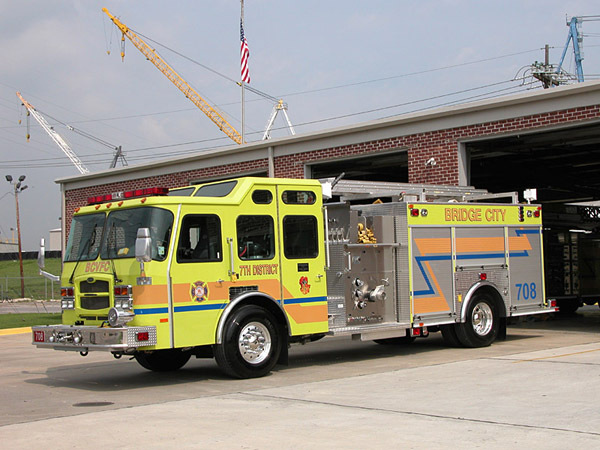 The department's newest apparatus is this 2002 E-One Typhoon that is equipped with a 1,500 gpm, waterous single stage, top mounted, water pump. The Engine 708 carries 1,000 gallons of water and can also provide foam from a Williams On Board Foam System with a capacity of 45 gallons of foam. Squad 709 rolls on vehicle accidents and medical calls. 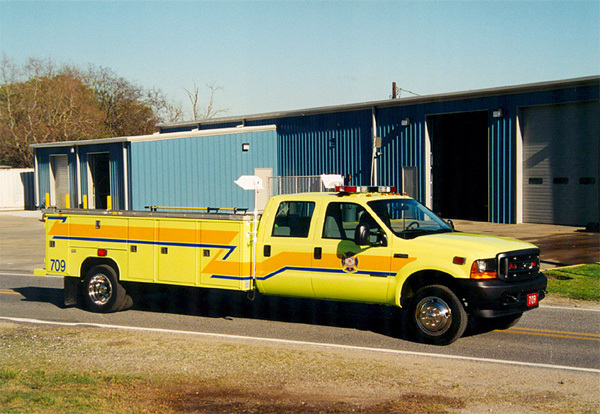 This monster with a wheelbase of 237" is a 2001 Ford F-450 Super Crew, fitted with a Rhino lined 14' Rawson Koenig utility bed. The squad carries medical equipment, extrication tools and various additional firefighting equipment. No, it does not turn on a dime.